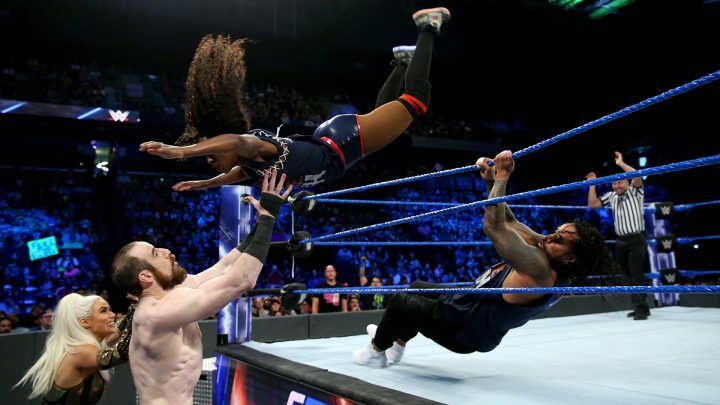 Jimmy Uso & Naomi were just two of several superstars who partook in the first annual ‘For Your Consideration’ event on Wednesday evening. The panel of superstars spoke about the revolution of wrestling from Raw’s 25th anniversary to the Women’s Revolution. 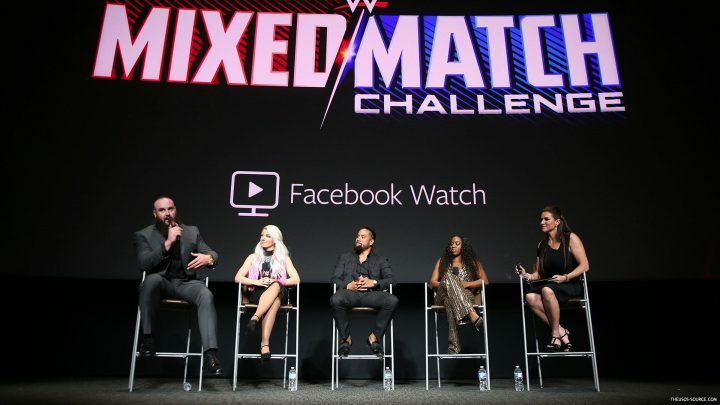 Jimmy Uso and Naomi were on the Mixed Match Challenge panel along with Alexa Bliss and Braun Strowman. 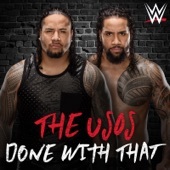 OGRE CHALLENGE 2v2: THE USOS vs. THE NEW DAY in INJUSTICE 2! 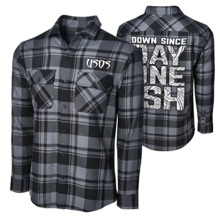 They say two heads are better than one, so we at UpUpDownDown are putting that phrase to the test! Enter The Ogre Challenge – two superstars slip into an oversized, two-head sweater each with one arm free to play on the controller; one handles movement while the other is in charge of the actions. 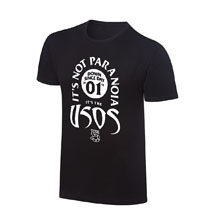 Can our tag teams handle a brand-new stipulation to win? 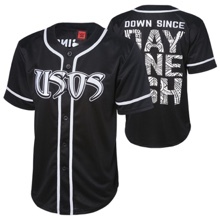 Watch as Jimmy and Jey Uso a.k.a. 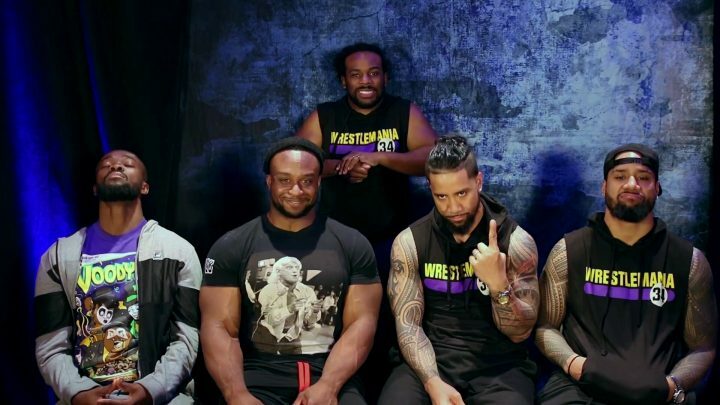 The Uce and Juice Connection put their twin bond up against the nerd-infused chemistry and positivity of Kofi Kingston and Big E a.k.a. Hops & Powers in a battle for the ages in Injustice 2! 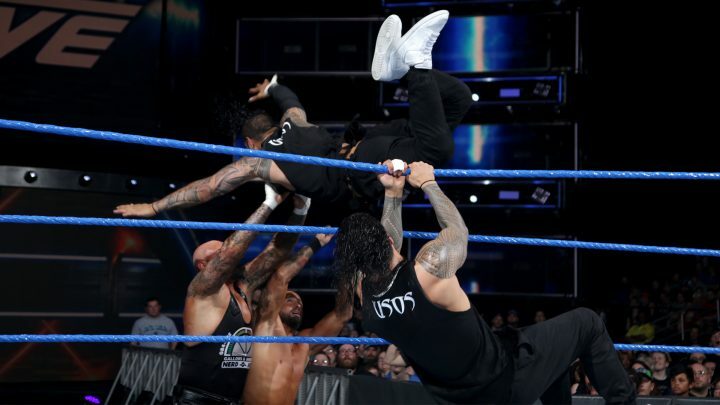 With six victories under his belt, the current UFC 3 King of the Hill Jack Gallagher looks to defend his title against his stiffest competition yet in the form of JEY USO! 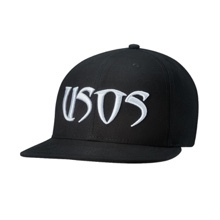 Can SWAGATHA CHRISTIE retain the crown against JUCEY UCEY or will he enter the Uso Penitentiary? 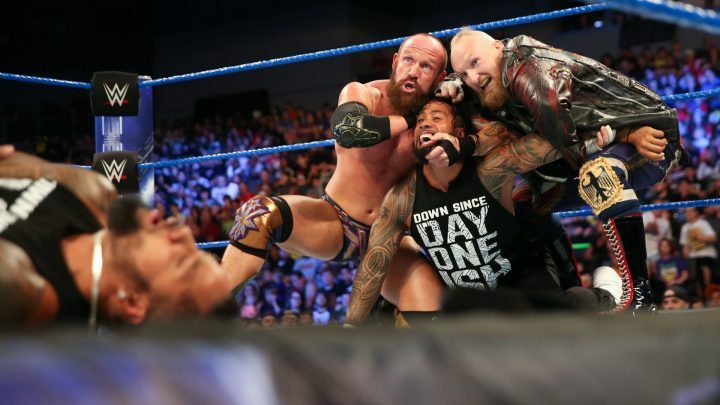 After the Dance-Off on SmackDown LIVE got physical, Naomi & The Usos are looking for retribution on Lana, Rusev & Aiden English. 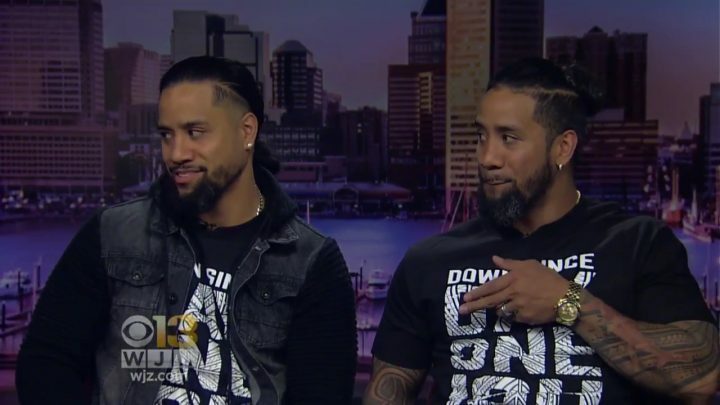 Denise and Marty talk with WWE Tag Team Champions Jimmy And Jey Uso. 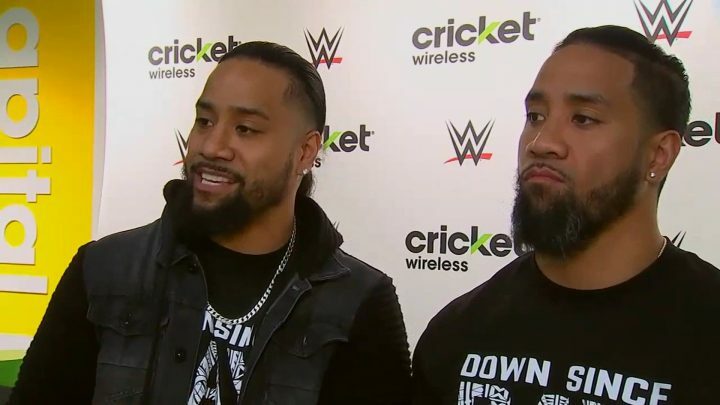 Over the past 9 years, Jimmy and Jey Uso have been rising to the top of their game in the WWE. 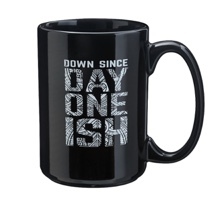 They went from #PlayingHardinthePaint to showing love to their beginnings #SinceDayOneIsh. 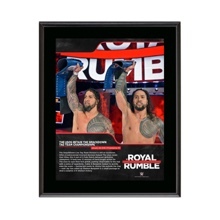 These twins have been at the top of the latter 5x becoming 2x WWE Tag Team Champions & 3x SmackDown Live Tag Team Champions.